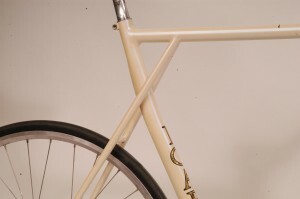 Why did you choose to build a track bike for your first frame? It’s what the customer wanted! Icarus’ first customer with Icarus’ first bike. 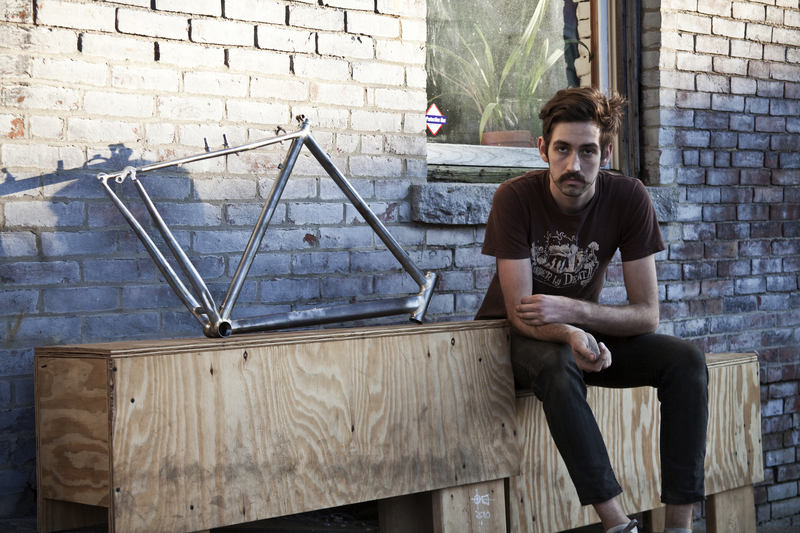 Well I had always ridden bikes and was interested in the funky frames made in the early nineties, but I was too tall for most of the cool frames out there so I decided I should just learn to make them. I learned from Yamaguchi for a few reasons. It was practical, I already lived in Colorado. He was the mad scientist of neat frame designs and the master of giant brass fillets. 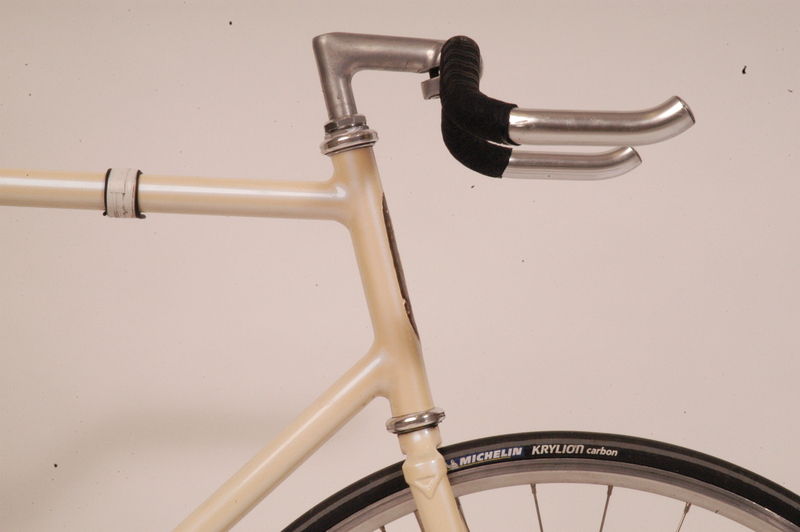 I wanted to learn fillet brazing because it would allow me to build with any shape and size of tubing without being restricted by lug angles and also seemed to be an art that modern stock frames didn’t incorporate. I left college because I wasn’t sure what I wanted to do and it seemed silly to keep getting further into debt for a career that I wasn’t that excited about. So I just left to try doing something I was interested in and let things go from there. I like making things and working on old engines, if I wasn’t doing this then hopefully I’d be making enough money to do what I do as a hobby. 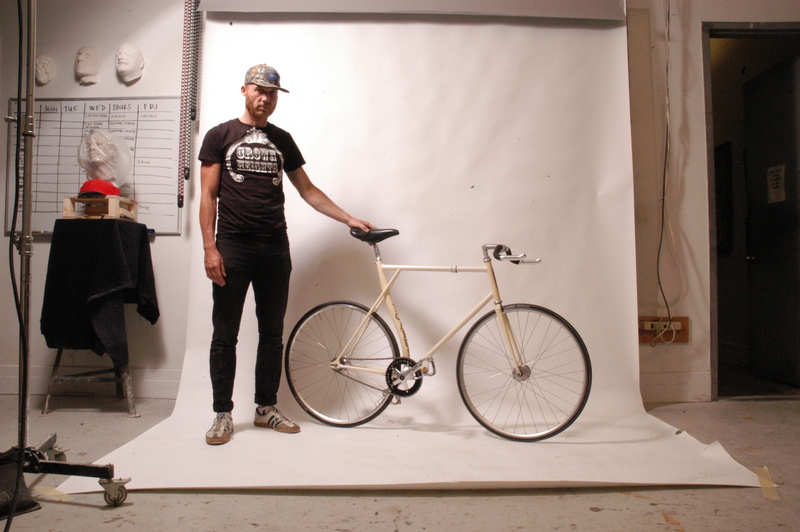 This entry was posted in My First Bike and tagged custom bicycles, custom frame building, geekhouse bikes, ian sutton, icarus bikes, yamaguchi bikes. Bookmark the permalink.